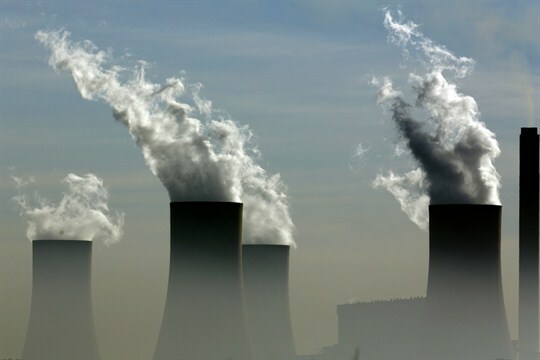 Smoke billows from the chimneys at Lethabo Power Station, a coal-fired power station, Vereeniging, South Africa, Dec. 5, 2018 (AP photo by Themba Hadebe). The latest United Nations climate talks held in Poland in December produced surprising progress toward developing the rulebook governing the Paris climate agreement. International negotiators added teeth to the accord by crafting a detailed system to catalogue national emissions, requiring new benchmarks for measuring and forecasting emissions, and mandating public multilateral and technical assessments. Nations will now have to uniformly track their emissions progress and expectations, with scrutiny from other governments and independent experts.